Over the years that we have been performing wedding discos across the region, we’re always surprised to see a wedding venue that we havent played at – which is few and fair between these days. But when we hear of a new venue popping up, we’re always pleased when we get a chance to take a look. However, this time around, we we’re more than pleasently surprised to see a very glamorous new venue, situated on the banks of the River Deben in Woodbridge – we’re talking about the new Easton Grange Wedding venue in Suffolk. 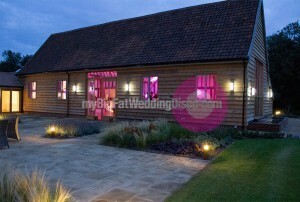 The rejuvinated barns are licensed for civil ceremonies and provide a beautiful, yet contemporary indoor scene. 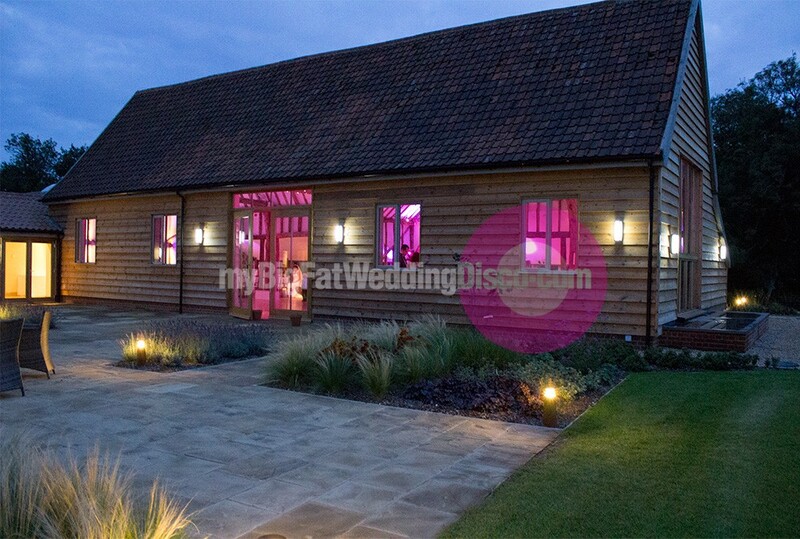 Whats more is by night time, the old exposed beams of the barn look absolutely spectacular with uplighting up against them – don’t forget to talk to us about that! The furnishing are new, but certainly no expense spared here – the seating is great, and in our opinion no chair covers required here. Overall the venue seats up to 150 of your nearest and dearest guests! You’ll see from their brochure that accommodation is also on site, with the bride and groom offered a luxurious cottage for your privacy, and to escape the family! The guest rooms are just as well furnished and are situated in the nearby Farmhouse. The grounds of the venue are very well kept and are more than ideal for some great wedding photos. Lets not forget the high quality food prepared by chefs who have trained in Michelin Star and AA-rosette restaurants. Last but not least, we wanted to mention that from our first contact with this venue, and having now played a few opening gigs here, we’re pleasantly surprised to find the staff very professional. The venue’s wedding co-ordinator is second to none, very friendly and certain to make sure your day goes to plan. 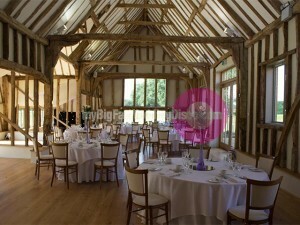 Look out for future wedding day openings at this venue as we promise this is a venue guaranteed to make your short-list. 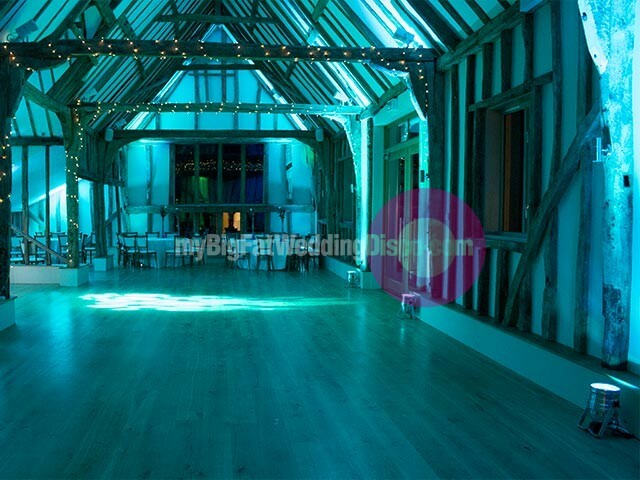 myBigFatWeddingDisco.com have become a recommended wedding disco supplier here too, which we are more than pleased to say! If you contact the venue, make sure you mention us as your first choice for your wedding disco.